Who needs Oktoberfest when you have Oktoberplex? LOL who are we kidding, everybody needs good booze from time to time, but your girls are back to talk about—not good booze—but good graps from last Sunday’s PWR Live: Oktoberplex! 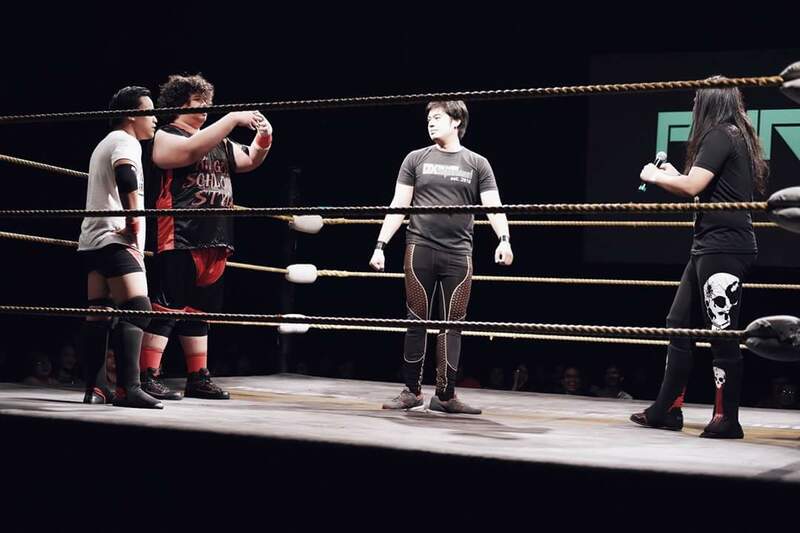 It’s the go-home show for PWR Vendetta, where Team Sy and Team Sebastian will face off at the first-ever five-on-five Ubusan ng Lahi match, but last month’s show, Sugod! ended with both teams short of manpower. So without much further ado, here is our review of PWR Live: Oktoberplex! 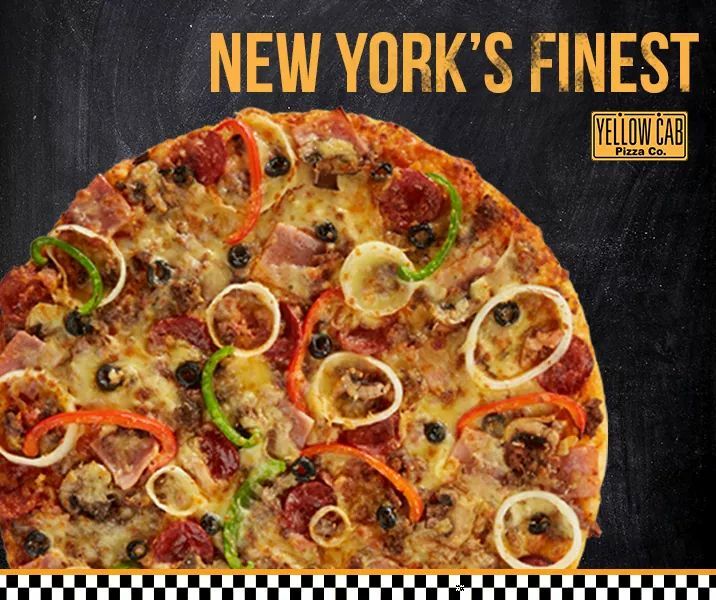 If Uncle Dave Meltzer gives out stars, we’re giving out pizza slices for tier rankings for the event’s matches and segments, because, boy, do these guys love pizza so much. Ardelle: Billy Suede definitely put on a clinic with the up-and-coming Zayden Trudeau. The “All-Canadian Classic” was a 20-plus minute treat full of action and *sniff* emotions. The veteran Suede kept “The Canadian Dragon” Trudeau on his toes with a flurry of chops, back body drops, and rest holds. 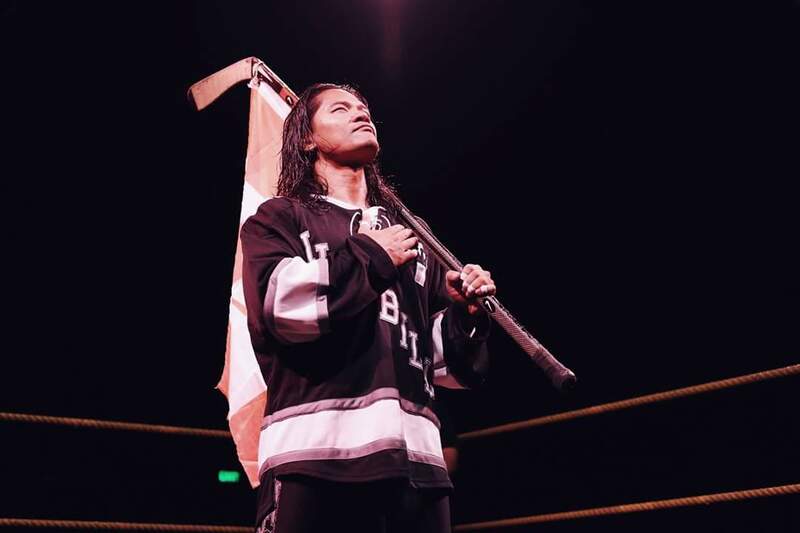 But Trudeau proved that he was not easy to dismantle, unleashing a top rope crossbody, a deadlift German, and a Sharpshooter that rocked Suede. After an exchange of submission holds and enzuigiris, a missed shiranui signalled the end for Suede. Trudeau saw an opening and rolled up Suede for an upset. Did I mention that this was a treat to watch? The Revo-Nation was fortunate to see a G1 Climax-quality match right in front of our eyes that evoked a “sulit-bayad” chant from the crowd. 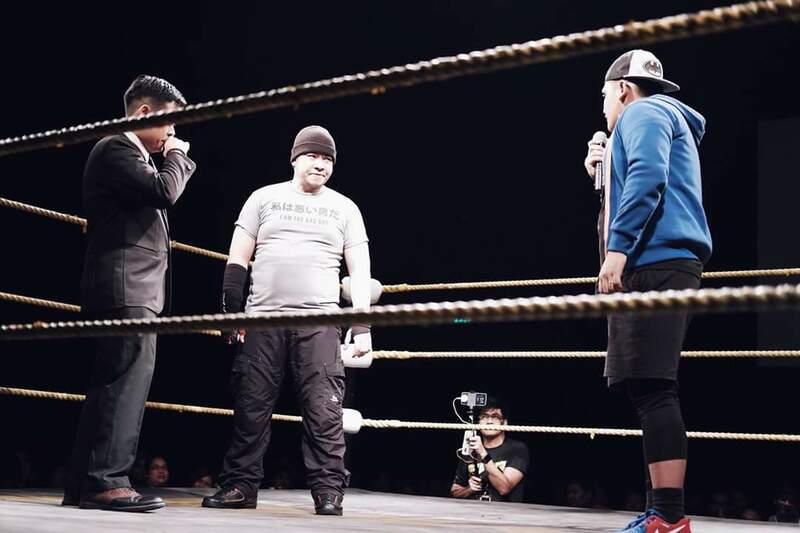 The two men were deserving of a standing ovation, but especially “The Beautiful One,” who definitely has a King Midas touch that helped elevate the Philippine pro wrestling scene. KP: Hoo boy, did I struggle not to cry pathetically after this match. Zayden is a good boy with Potential and Billy did everything in his considerable power to bring that out. I enjoyed watching Billy guide him and pace the match to a speed they’re both comfortable with, which is apparently 0 to 100 all the time. Zayden has grown up a lot since his debut and proved that the spark he showed in Resbak against Vintendo wasn’t a fluke. He’s got a long road ahead of him in terms of physical conditioning and polishing his moves, but he’s driven, he’s hungry, and he actually backs this up with work. As for Billy... It takes a rare breed of person to dislike the work he did in his five months in PWR. He held on after two unfortunate outings to put on a classic with Jake De Leon (get well soon!) at Wrevolution X. It’s not an exaggeration to say that the entire PWR roster has stepped up since then, and I don’t think the fire he’s lit under them will go out any time soon. Ardelle: This match was a fun opener. I placed it this high because I’m a sucker for wrestling with elaborate backstories and narratives. Trabajador Quatro impressed with his athleticism early in the match with an enzuigiri and a Dragon Suplex, seemingly having this in the bag. But Trabajador Quatro literally almost flew close to the sun with an attempt at a frog splash that was delayed by one of his brothers from the La Consejo de Trabajadores. He missed the splash, allowing Kapitan to recover and deliver a splash on his own for the win. 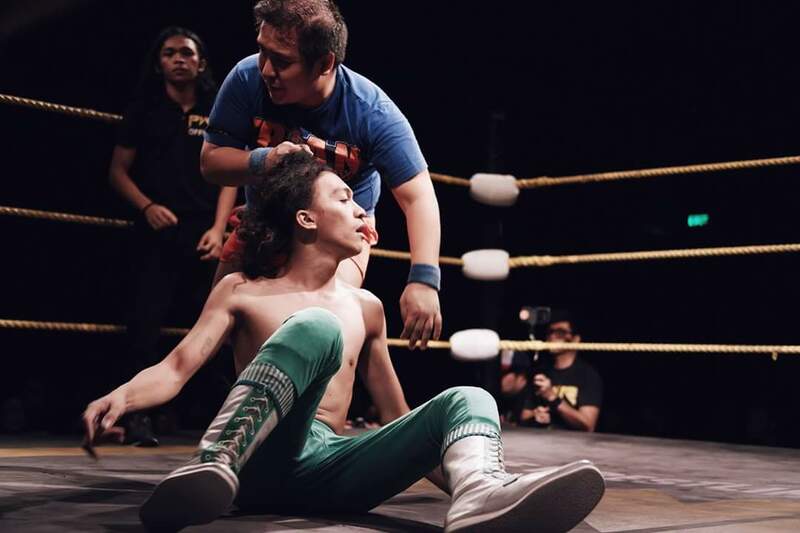 Kapitan PWR brought Quatro back on his feet, but Trabajador Supremo decided that Quatro must be taught a lesson the hard way, feeding him a beatdown from the rest of the Consejo. 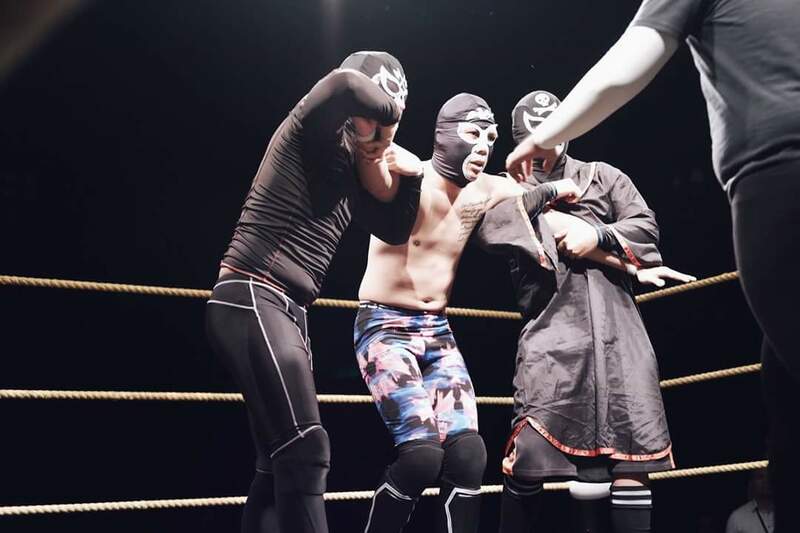 Only time will tell if Trabajador Quatro is indeed the prophesied “chosen one” that will show them the light (I really hope he is), but for the meantime, it’s another Sunday for him and the rest of the Consejo. KP: Trabajador Quatro is another good boy with Potential who wants more for his clan and himself, and isn’t that such a universal tale—a youth prepared to bring the old world kicking and screaming into a brighter future? 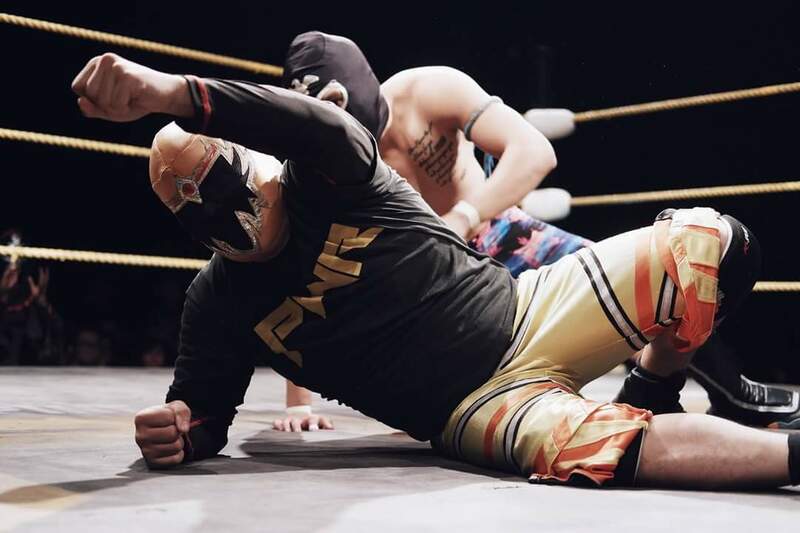 Troubling arguments about the essential role of trabajadores in wrestling aside, Quatro countered the luchador Kapitan’s speed with kicks and flips, and a few almost-soundless chops that Kapitan took like it brought him to the verge of death. I can’t wait to see if Quatro will come any closer to fulfilling the prophecy and bringing the Council its first win, damn the consequences. Ardelle: Another fun match despite *sigh* the KakaiBros and their disgusting antics. 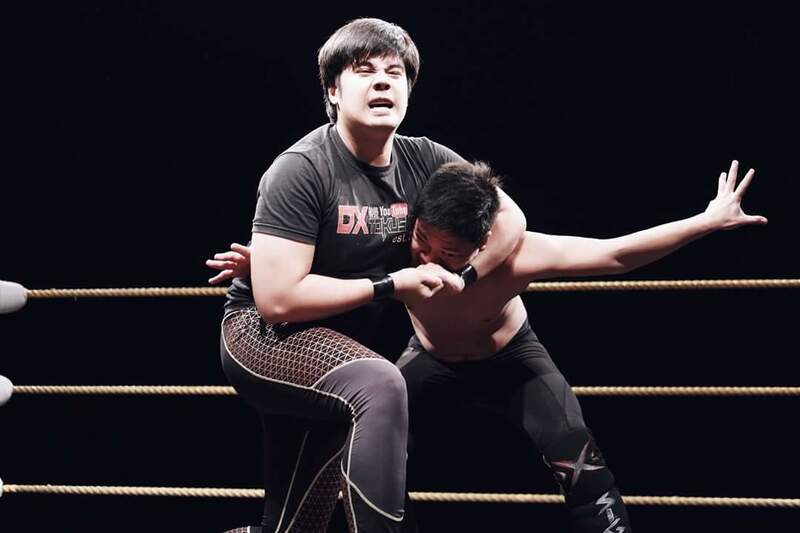 It seemed like an early win for SANDATA after hitting an exploder suplex on Mh4rckie to set up for his Kidlat knee finisher, but Mh4rckie distracted the referee that allowed his brother in arm(pits) to apply a reverse DDT on the Pinoy Tecnico. But the KakaiBros’ craftiness wasn’t enough to take down SANDATA, with Mh4rckie being on the receiving end of a brutal Kidlat for the win. 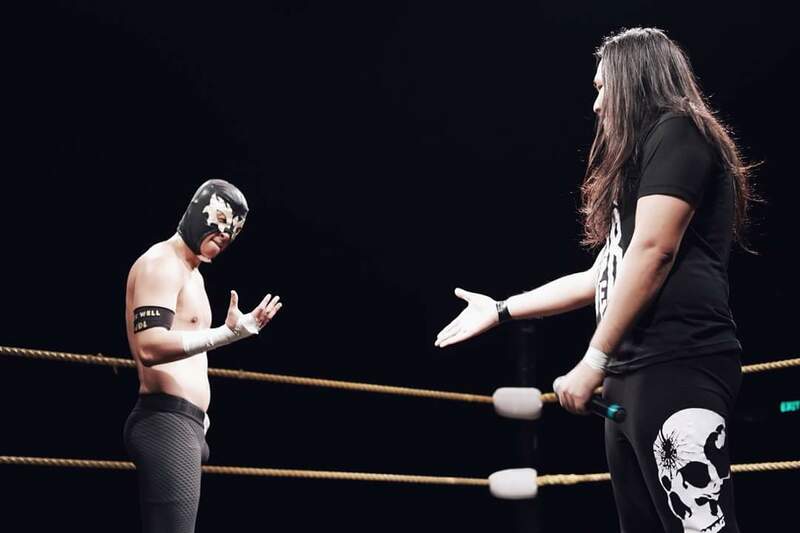 John Sebastian came out to congratulate SANDATA on his win, and asked him to join his team on Vendetta. SANDATA looked conflicted, and asked for more time. Will the “Huling Mandirigma” join the dark side? KP: I think there’s a reason why SANDATA keeps on coming back to fight the Kakaibros, despite the possibility of contracting diseases on mere skin contact with the pair (allegedly). That’s ‘cause Mh4rckie and Kh3ndrick have Potential. I’ve used this word thrice now, and I’ll use it again because these boys’ batch really do have—to borrow Brad Cruz’ catchphrase—The Looks. They have a solid understanding of fundamentals and their characters, and it’s literally only a matter of time before they get the experience they need to level up their game. Sidenote: Nabobo ako dun sa Sy Men joke. I thought this skit with Sebastian and his “testicularly-gifted men” was the first of two segments that disrupted the flow of the card, though I must say that this promo went a long way in establishing their relationships and keeping the crowd entertained. Other than its length though—and I realize this may just be my preference—but it’s kinda weird seeing the hypocrites and a misogynist flat-earther build rapport with their power-hungry boss, and not see a similar humanizing moment with Team Sy. I probably don’t need the team around a campfire singing "Kumbaya," but then again, I probably shoudn’t think about this too deeply either. KP: I admit that I got distracted by small details during this match. The sisig smell in Spotlight after MTNH was kicked out had me looking for a source, and a minute was spent processing horror upon the realization that the garter I saw above Dax’ trunks was the torso part of his jockstrap. Regardless, I did actually manage to pay attention enough to know that Peter continues to engender feelings of “what am I supposed to feel around you?” with me. Objectively, yes, he’s an unpleasant git with a diverse moveset that makes me wanna boo him like a proper bad man. But I don’t want to react when he’s there because there’s nothing to react to. He’s like an amorphous blob of unpleasantness that I want to be emotional about, but I just can’t bring myself to. MTNH was great in helping me maintain focus on Peter. Peter cares about their presence, and this in turn made me care about him. On the other hand, Dax being alone continues to feel right, and I feel slightly sad that Dax didn’t pursue a rivalry with Ken since their match in Bakbakan since they, weirdly enough, felt like a good fit. P.S. Pero sa totoo lang, bakit amoy sisig sa gitna ng laban. P.P.S. Ralph kicking young boys after being thrown out of the ring was A+++. KP: For some bloody reason, I keep on thinking that this should’ve been the match The Network and TDTxECX had? Or at least, this had the right amount of humor and action in it without sacrificing the pacing of the match. Perhaps it’s a little unfair to compare both in the first place, since they have distinctly different goals under similar trappings: two teams who hadn’t faced each other before fight for a prestigious prize—in this case, momentum going into Vendetta. With or without that motivation, this was a damn fun match that showed off the strengths of each competitor. Joey continues to surprise with his wit, playing evenly against Rederick in swaying the crowd as Migs and Ralph upheld their status as two of the most fearsome strikers in PWR. 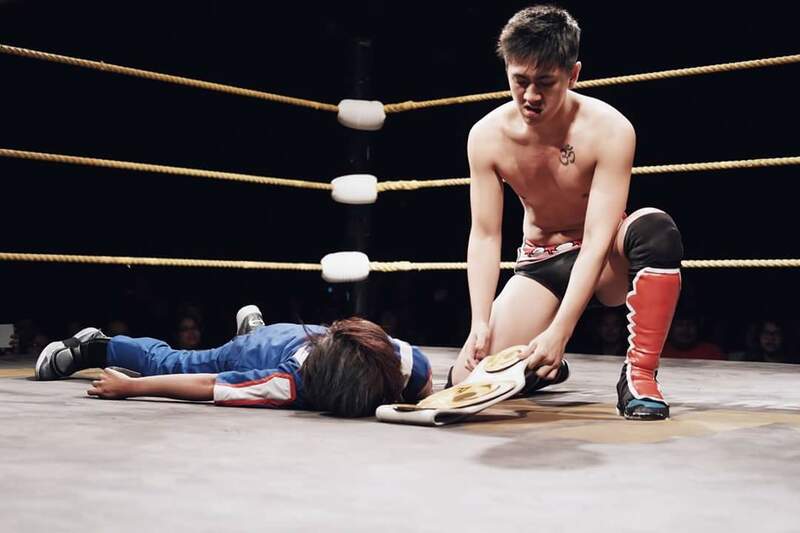 Underhanded tactics employed by MTNH were matched by F4H with brute strength, and though it ended with Rederick employing a Singapore cane to hand MTNH the win, the match had enough high points to deserve a rematch down the line. Ardelle: To be honest, I wasn’t all that high on Bolt after seeing his debut in Mainit months ago, but the nice lad keeps on improving, and he is growing on me. The Anime-zing Fighter continues to prove he is a scrappy underdog that should not be taken lightly, and Mike Madrigal learned that the hard way. Like a slippery eel, Bolt used his weight and his speed to his advantage to escape several precarious situations, such as a GTS attempt on him by the champ. Meanwhile, the outspoken champion was as good with the graps as he is with his talking, unleashing brutal counters and Kotaro Krushers on Bolt. A roll-up pin in the end got a W for Bolt. I enjoyed this match a whole lot because Bolt’s scrappy underdog persona played really well with Madrigal’s kakupalan. And boy, did Mike Madrigal have the crowd in the palm of his hand. 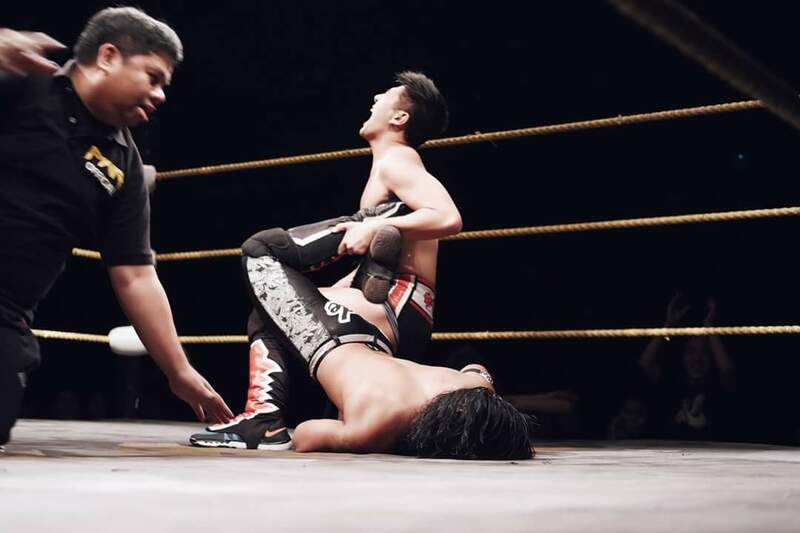 An enraged Madrigal launched an attack on Bolt, driving his head on the PHX title with a GTS. Zayden Trudeau saved Bolt from a further beatdown, but it looked like they both have their eyes on the same prize. KP: Bolt is a good boy with Potential, damn it. On a more serious note, I did love the dynamic between Madrigal and Bolt. Whereas Bolt has the determined (and actually skilled!) 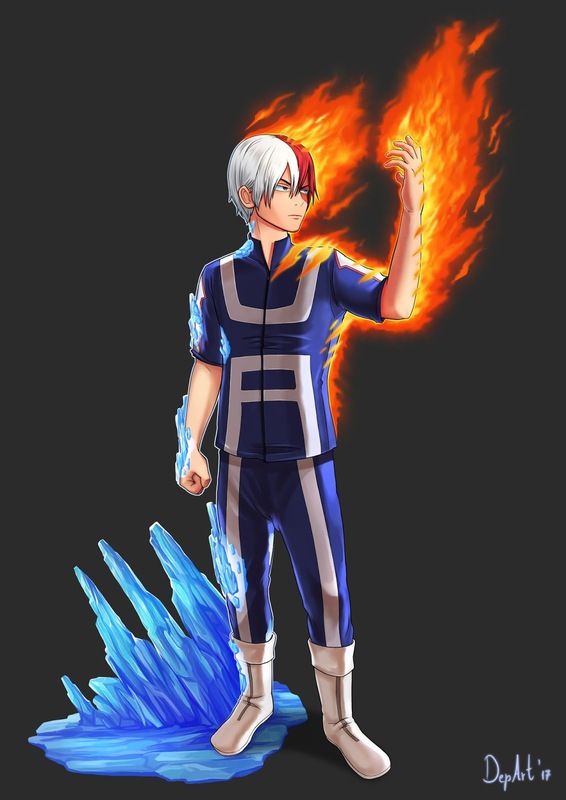 underdog vibe that had me rooting for him from the moment he emerged with his Shoto Todoroki-like hair, Madrigal had me begrudgingly laugh at his antics as he performs like someone who should have the PHX belt around his waist, kakupalan aside. Adding Zayden to this dynamic only means good things, and I am already girding my loins for the culture clash between the spirited Canadian and the man with swearwords adorning his gear. Ardelle: Man. This match already makes me regret missing Vendetta. 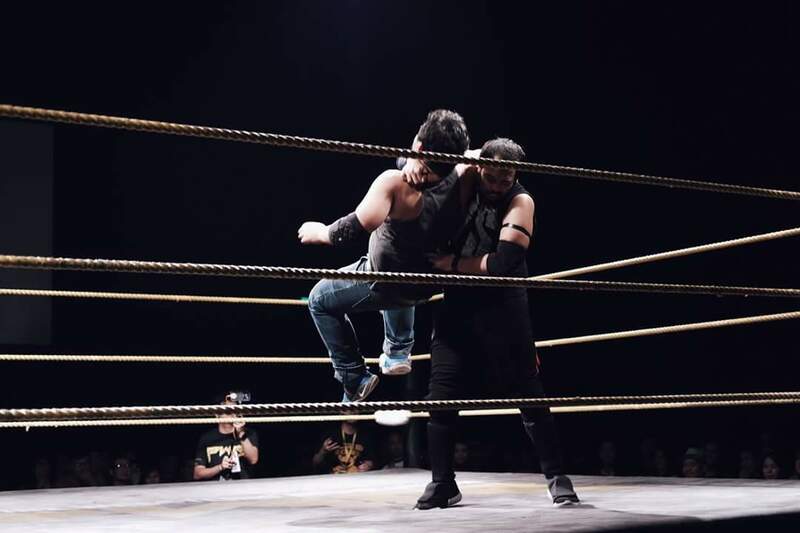 It served its purpose of hyping up the 5-on-5 Ubusan ng Lahi match set for next month, with chaos ensuing all over the place. I honestly didn’t know where to fix my eyes on. In terms of the two main players in the match, Panzer and Sebastian started off slow. I can’t help but feel that certain spots in the first half of the match should have gotten stronger reactions from the crowd, but these were met with half-hearted reactions. Maybe because the crowd was winded out from the tag team title match. A personal favorite spot was when the mayhem was turned up a notch after a ref bump, with everyone hitting their own finishers to their opponents. Out came SANDATA who stretched his hand out to John which made our jaws drop on the floor. 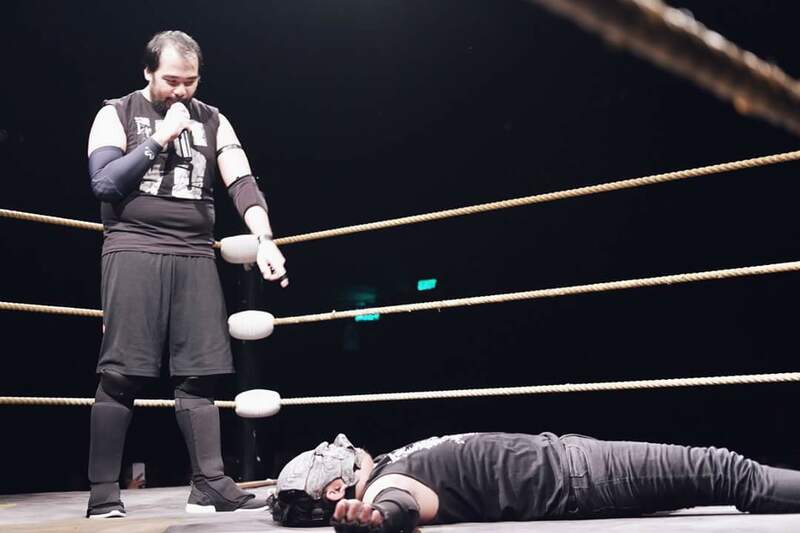 Gasps were replaced with cheers when the Pinoy Tecnico knocked the Wrestling Lord & Savior’s head off with a Kidlat. The champ sealed his title defense with an Eagle Splash for a pinfall victory. All is still good in the world with SANDATA staying in the light. KP: You never really know what you have until it’s inches away from striking a vulnerable Chris Panzer off the top rope. That is to say, it was a surprise for me to have strong feelings about seeing SANDATA shake hands with John even as a ruse. I guess, in the year I’ve watched PWR, I’ve taken the alignment of certain persons for granted. Mike Madrigal loves himself too much to be a jerk with a golden heart; Jake De Leon is for the people, but he is a haciendero who calls his opponents alipin; SANDATA is a warrior who believes in a code, even if that code sometimes screws him over. It was with great happiness that I witnessed SANDATA unleash a Kidlat on John’s face. It may have gone the way I thought it would, but the emotions the split-second turn generated were real. As for the lumberjack match itself, Chris and John should feel like the YOLO Twins-Punk Dolls rivalry by now, but the motivations behind this match was different and this, along with the stipulation, made this fight feel fresh. It also accomplished what it set out to do: to get people hyped for Ubusan ng Lahi and the future of PWR come 2018. Ardelle: Sorry Revo-Ranger, but this felt like a squash match from the get-go, with Apocalypse dominating almost the whole match with his heavy strikes. Revo-Ranger did try to fight back with his Revo Punch, but the All-Out War Champion was just too much for our superhero, securing the three-count after a huge Six Feet Under double stomp. 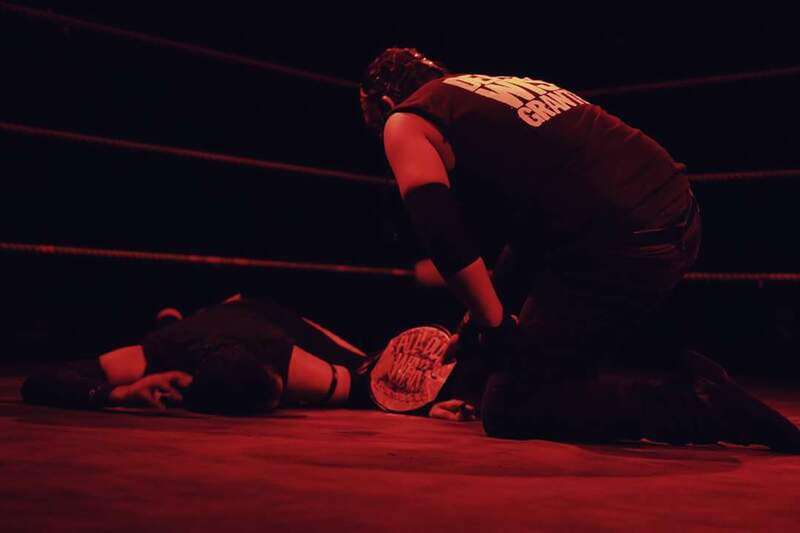 It was a pleasant surprise for everyone though when Vlad Sinnsyk expressed his intentions for the All-Out War title after an ambush on The Apocalypse with a Singapore cane and laying him out with a Muscle Buster. Ardelle: Come on Tito Vlad, how can you resist the charms of Brad Cruz? Anyway, while the match was largely dominated by the Hand of Judgement, Brad was able to get some offense in, with a big German suplex after the bell rang. A Stunner momentarily stopped Tito Vlad’s flurry of attacks, but a giant lariat took out Brad in the end (which he took like a champ). A momentary darkness interrupted Tito Vlad’s post-match muscle buster on Brad, which was soon revealed as The Apocalypse. Roles were now switched, with Tito Vlad being rocked by the All Out War Champion. Ardelle: Both these teams have faced each other so often that I've already lost count. I don’t really mind, as long as they bring something new to the table, which I didn’t really see here. Still, the match was memorable with Crystal double-crossing her former besties Martivo and Robynn after Ken Warren introduced a selfie stick to the match. Crystal attacked Robynn with the selfie stick, and Martivo was in the receiving end of a Two-Night Stand to give the twins a win. Everyone was left clueless on Crystal’s motives, but perhaps we’ll know soon. KP: I’m so happy Crystal finally has meaning she can pursue again. And that Ken Warren didn’t open his mouth as much as he normally does. Ardelle: This match took the wind out of me. I honestly didn’t know that there is such thing as too much fun in a comedy match. This had the potential to be one of the MOTNs, but unnecessary shenanigans only gave this three pizza slices. I personally think it could have been better without some of the spots, like when they put the referee in a blanket after taking a bump, while GrabCamus and Officer Tutan sang him a lullaby. Actual wrestling was also put aside in place of gags. But if there is a takeaway from this match, I was left wanting more of Evan Carleaux and AB3 interactions in the future. 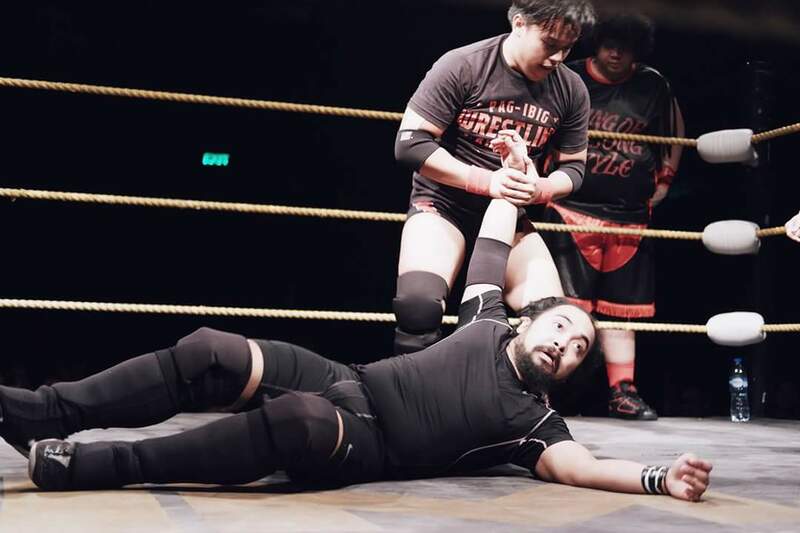 (*cough* Give TDTxECX their rematch *cough*) TDTxECX were this close to becoming the new tag team champs after Carleaux locked in the Darkest Noir on Idol Lodi, but KakaiBros interference quickly changed the momentum to favor Idol and AB3. The Network sealed the deal after a double team Pay-In Deluxe on Carleaux. KP: Nakeauxpeaux. 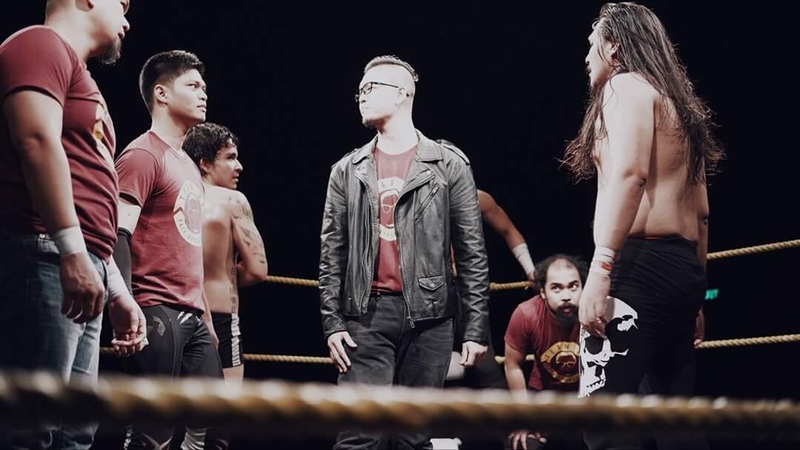 I believe that The Network and TDTxECX will have a better match in Vendetta, with or without the involvement of the Kakaibros. I choose to chalk up the abundance of gags in this to over-planning, or an inability to kill their darlings and pick only the essential jokes that won’t neglect the wrestling part of this match. Match placement may also have been a factor in how the audience perceived the match. Barring Bolt versus Mike Madrigal, this was the third tag team match in a row. Nevertheless, I felt like the audience was made to invest too much energy in this match, to the point that the lumberjack match after it felt quiet in comparison. But my original point still stands. I still think, and I do hope, that these two will listen to all feedback on this match and give a better showing the next time they step into the ring together. And then went full rage-quitting on McKata. KP: I mean, it was there. It wasn’t a rap battle, just a regular promo with occasional attempts at structure. It made me feel something for Vintendo, at least. Match of the Night: Zayden Trudeau vs. “Beautiful” Billy Suede. Sulit ang bayad. MVP: Zayden Trudeau. What a shell-breaking performance and a career-making win over the Beautiful One. KP: Overall, I felt like Oktoberplex was just a huge set-up for Vendetta. Not that that’s a bad thing; every story has a rising action, and Oktoberplex fulfills that role to lead to the denouement of Vendetta. The fallout from Oktoberplex was immediate. 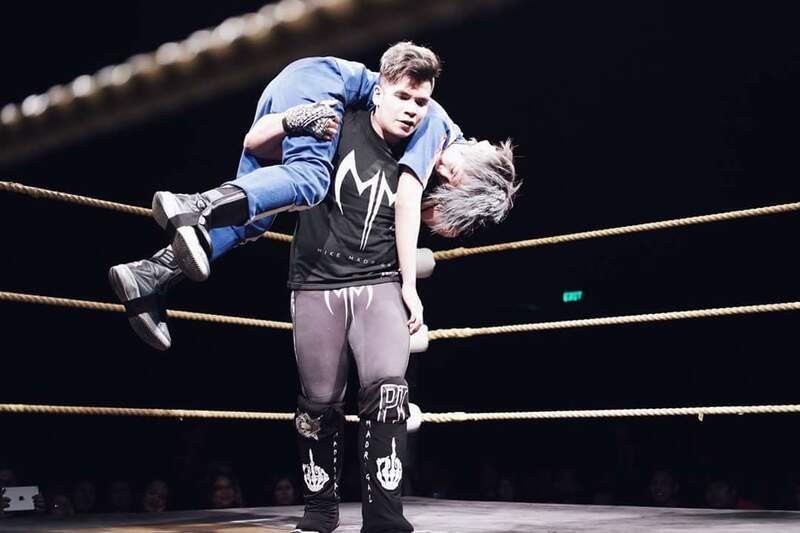 Team Sebastian is slowly unravelling as they try to find their fifth man; Mr. Sy’s preoccupation with Team Sy lead to him accidentally giving the Kakaibros a title shot against The Network; and TDTxECX stole said contract to parlay for another match against the open-minded champions. Ardelle: Oktoberplex is an indication that being extra isn’t necessarily a bad thing always. While I felt overwhelmed after the show, it still made me excited for Vendetta, and for PWR in the coming months. Engines are now fully revved-up up for the 5-on-5 Ubusan ng Lahi match on PWR Vendetta on November 5. Have you picked your side yet? 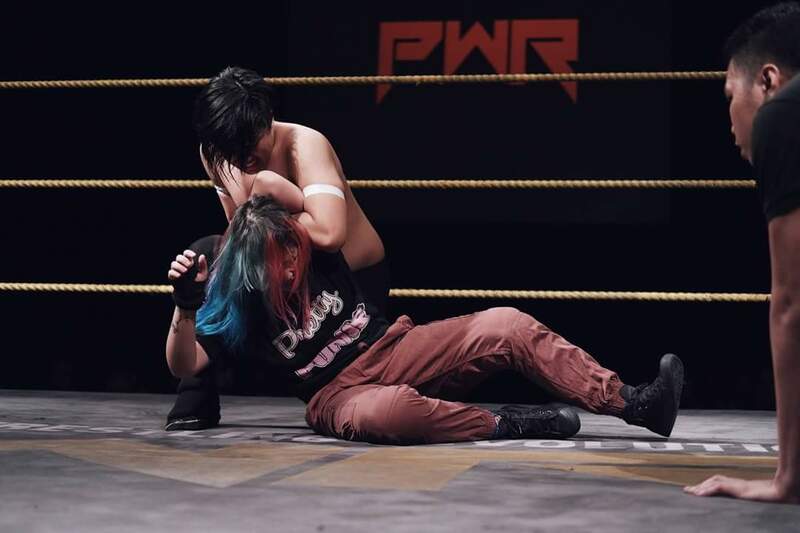 PWR Vendetta is happening on Sunday, November 5, at the Power Mac Center Spotlight at Circuit Makati. Tickets can be purchased at the gate for P400, but with various early bird discounts and group deals available at the official Philippine Wrestling Revolution Facebook page. Photos by "Mrs. Ruthless" Jacky Rosales.